Meditation Specialist Calls for Returning to 0 Karma in New Novel Lightweight Traveler. While striving to entertain readers Bar presents the 401-K KARMA ACCOUNT. Bar shows how going back to Neutralization can change our destiny. When Megan Wood, an attorney with a stellar future and a dashing fiance, falls to the sidewalk one day and dies, there seems to be no purpose to this tragedy. Author Bar, however takes us into an area little anticipated. Megan sets off on a spiritual journey to learn about the world after life. It is during this voyage that she discovers how to make life on Earth meaningful and with purpose. 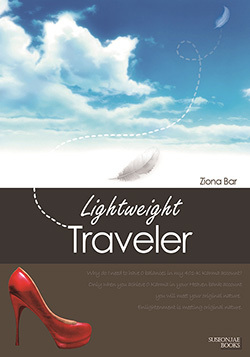 Lightweight Traveler, by Ziona Bar aims to influence readers to begin a journey of self-discovery. Anyone wishing to achieve better results in personal evolution will find Lightweight Traveler an enlightening read. Bar's novel strives to awaken readers and offers empowerment to discover inner-peace.